Whether you are residing in Patan or if you are a visitor of this city, you will definitely like to taste the local delicacies of Patan. Local delicacies of Patan as well as varieties of cuisines from all over the country and the world will be available at numerous restaurants that Patan has. You will get to taste pure veg dishes, Italian & Chinese cuisines, special Punjabi dishes, and others. At dhabas you can enjoy spicy food, lassis and malai tea and at the various fast food centers of Patan, you will get Pizzas, rolls and pies. So go through this article to know more about restaurants in Patan. When you are looking for pure vegetarian dishes in Patan, you will get them at the following Pure Veg Restaurants of Patan. Even if you are looking for varieties of cuisines from all around the world, you will definitely get all of them at the various multi cuisines restaurants of Patan. You will get the best services at the most reasonable price. While you are in Patan, you can enjoy the best Punjabi Cuisines at any of the following Punjabi Restaurant in Patan City. 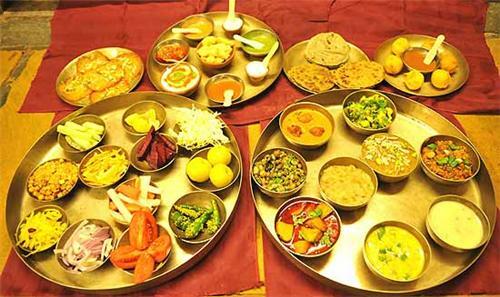 Guest can enjoy mouth-smacking food and cool drinks at various Dhabas located in Patan City. Travellers prefer these places as they can take rest for some time and enjoy good food. Whether it is delicious Gujarati foods or special Gujarati Thali, you will surely get the best food at the most reasonable price at these Gujarati Restaurants of Patan. When it comes to fast food, La Pizzeria is the best choice especially if you have special affinity for pizzas and other Italian foods. Restaurants and eateries in Patan are known for their sumptuous foods, friendly services and reasonable costs. Guests get great ambiance to enjoy delicious foods and these restaurants are quite popular among the visitors of Patan City as well. Different types of cuisines from across the world are served at these restaurants and eateries in Patan.